Looking for the Best Aviation Headset 2016? All pilots know the importance of a headset. It doesn’t matter if you’re flying helicopters, propeller planes or commercial 747s full of passengers. You will be using an aviation headset to communicate while flying. A good, comfortable headset can make a world of difference. The average price range of most aviation headsets lies between $90 to $1000. 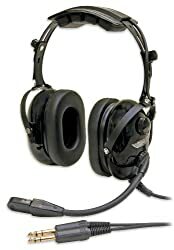 This article will help you find the best aviation headset that will meet your needs. We’ll tell you what to consider and what to look out for when buying your new aviation headset. Most experienced pilots prefer to connect their headsets wirelessly to several different devices using Bluetooth technology. It’s convenient and you’ll be able to listen to music, receive phone calls, and get important audio notifications from mobile aviation apps without the need to take off your headset. In some cases, pilots may require clearance by phone and Bluetooth will make things easier. ANR is also known as active noise cancellation, and it denotes the headset’s ability to cancel out outside noises without sacrificing the quality of the sound. 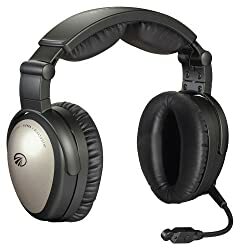 In most cases, a headset is used to eliminate or reduce outside noise (as seen in the Best Headphones for Airplane Travel). This is easier said than done because a high-quality ANR is supposed to cancel out low frequency noises that can cause tiredness. By doing this the pilot will be less likely to get fatigued during the flight and also be able to listen to propeller or engine noises to detect any irregularities. As a pilot, you’ll also be required to hear your co-pilot and flight staff. 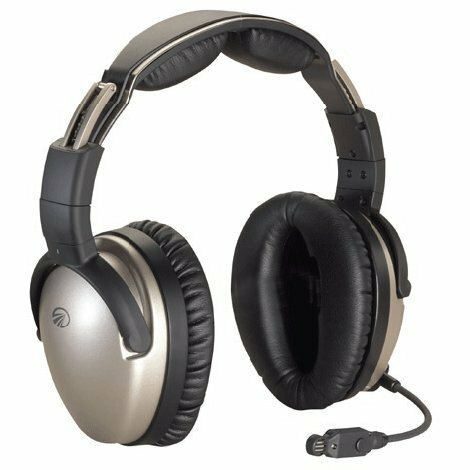 Choosing a good headset is vitally important because it will need to remove unnecessary noises but allow important sounds to reach the pilot. The headsets are the most important source of communication between the control tower and the pilot. The exchange needs to be crystal clear to prevent any adverse incidents from occurring. Clarity of sound and balance are the most important factors when choosing a headset. There is one more factor that’s crucial too. Flights can be 2 hours long or even 16 hours long. Whatever the case may be, a headset needs to be comfortable since it will be worn for long periods of time. Important information can come at any time and the pilot needs to aware of it. So, the headset has to be on most of the time. A good headset will be well padded and adjustable. It should be easy to maneuver around the head. Ease of use is crucial. If you want nothing but the best, this is it. The Bose A20 has been voted over and over as the best aviation handset by both experts and users alike. They are a leader in the industry and a pioneer when it comes to innovative technology. Bose was the first company to start using active noise reduction (ANR) in headsets for aviation. This was over 20 years ago and till today it remains a favorite brand among thousands of pilots all over the world. It’s efficacy at eliminating unwanted noise is unparalleled. No other headset comes close to Bose in regards to ANR. Besides ANR, Bose also excels in audio clarity, balance and bass. The sounds produced are clear and this headset can be used for music, audiobooks and most importantly, communication. The Bose A20 headset is lightweight and evenly distributed. The ear cushions are comfortable enough to wear the headset for hours and forget that you’re wearing one. There are several configurations to choose from: helicopter plug, standard twin plugs and a 6-pin aircraft-powered plug (LEMO). You’re also able to connect to your mobile phone with Bluetooth to send or receive calls. This is most convenient. Overall, it doesn’t get better than the Bose A20. 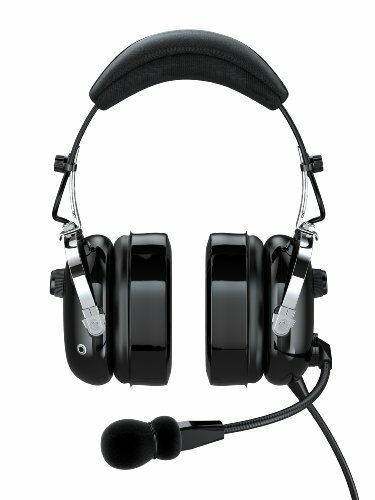 It’s the best for a reason and if you’re in the aviation line, you really should get this headset. The Faro G2 is very popular among those who are on a tighter budget. It is a low cost option but still provides a ton of value. Most aviation students and even passengers usually buy the Faro G2. The Faro G2’s active noise reduction (ANR) is decent and is able to cancel out engine noise but still allow you to listen to what’s happening around you. The sound quality is good and you can definitely listen to music, the radio, MP3s and even your phone. While the Faro G2 doesn’t come close to the Bose A20, it’s still a worthy buy if you can’t afford the Bose A20. The headset is light, secure and comfortable. The ear cushions are soft enough so that you can wear it for hours without discomfort. There is an adjustable microphone in the event that you need to use one. 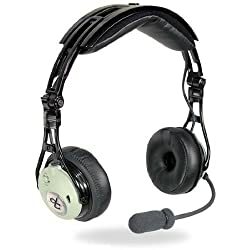 This is a good headset. It has everything you need and the main plus point is that it won’t break the bank. For what you pay, you will definitely get more than your money’s worth. The third headset in our review is the Lightspeed ZULU.2. This headset weighs only 13 ounces and has magnesium ear cups. Probably one of the lightest and most comfortable headsets on the market. Magnesium is used in the ear cups to absorb noise while keeping the headset light. It also works very well at active noise reduction and blocking out ambient noise. The headset does very well in the sound quality category too. It has the ability to lower the music volume when an incoming call comes in. With the use of Bluetooth, you’ll be able to listen to take calls or listen to music. Another interesting feature is that the headset allows voice commands so that you can change music, terminate or answer calls, etc. without using your hands. This is excellent for multitasking or for situations when your hands are busy. Lightspeed Zulu.2 has a very unique feature. It is compatible with FlightLink which is a free app that was developed by Lightspeed. Using FlightLink, you’ll be able to record all communication that goes through the intercom. This is a very useful tool when it comes to flight training. The only downside to this headset is that it’s less robust that the Bose A20. However, the Lightspeed Zulu.2 is lighter and less expensive. So, it’s not an entirely negative point that it’s not as sturdy. 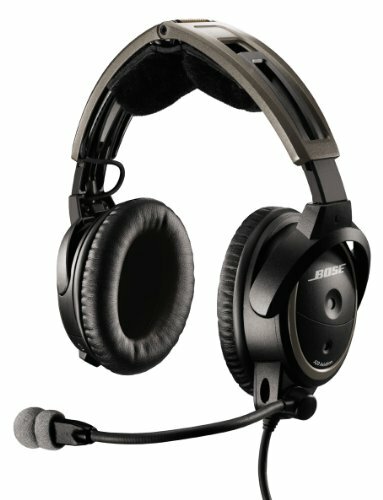 This is still an excellent choice if you’re looking for an aviation headset.